I think a part of me always knew that being a mum would change my style. The practicalities of every day parenting don't really go hand in hand with chunky-heeled Chelsea boots and skater dresses that used to fill my wardrobe. But still, it was difficult coming to grips with letting go. Fashion always has and always will be one of the biggest means of my self-expression. Even though a renaissance was on the horizon, I don't think I was ever fully ready to let the old me go. Up until recently I had only ever admired Joanie Clothing, lusting over clothes that I didn't think would ever fit me and gazing longingly at the snaps of everyone looking fabulous in the brand's fashion offerings. It was just after Eric was born, and the call of my maternity leggings and oversized tops was just too strong. Having a baby was one thing - getting used to my new shape was a whole other kettle of fish! Fate however had other ideas. To my delight and utter dismay I won two giveaways within a couple of months of each other. And thus began my love affair with Joanie. 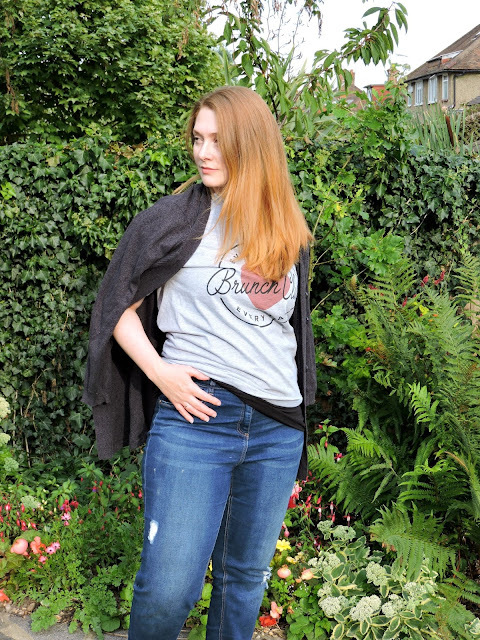 I think we all know the sheer contempt I had for most high street maternity fashions when I was pregnant, so finding a brand that offered easy-to-wear pieces that made my post-baby self look automatically put together was just a dream come true. With such a good first impressions there was one item I just knew I had to have in my wardrobe. 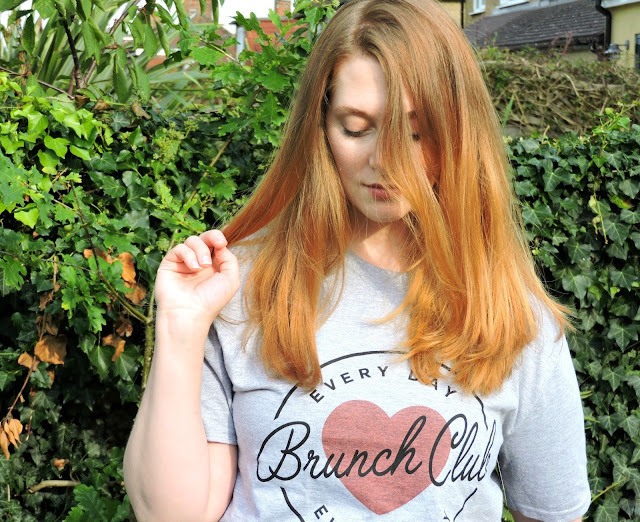 Perfect to pair with distressed denim and cosy cardigans, the Brunch Club tee seems to be the item of choice at the moment for so many bloggers out there and one that seamlessly has winged its way into my wardrobe and cemented itself as a style staple. 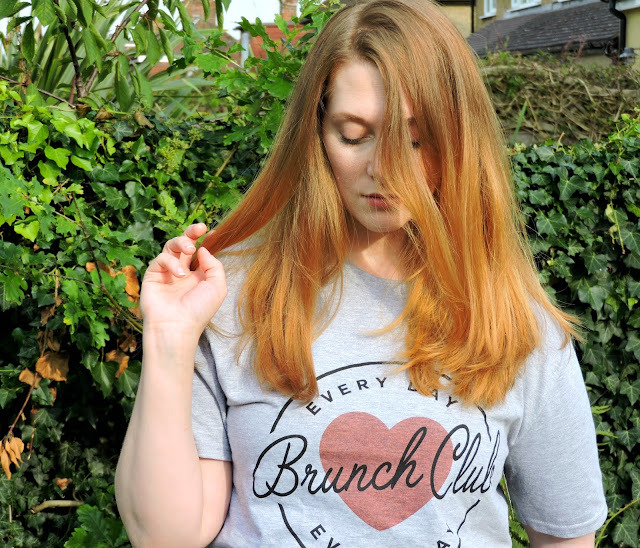 A far cry from my stretched out strappy tops and shapeless swing dresses, this tee clings to my new curves in all the best ways whilst not sitting in unflattering angles. For a bit of extra modesty (and to help elongate my top half) I have taken to pairing it with a block colour vest. 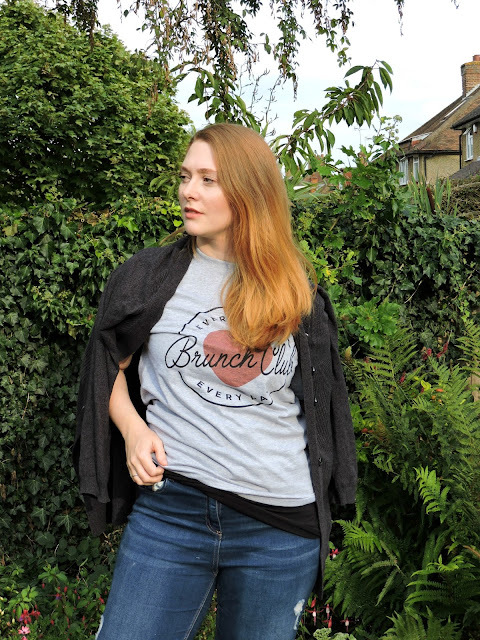 Come autumn, you can bet your bottom dollar you'll be seeing me style it with faux fur jackets, midi skirts, crisp white trainers and layered over bodycon dresses. Not discovered Joanie yet? Go on, head on over and see what you can see becoming style staples in your wardrobe.